Cats are special. And this, most definitely, is a very special cat. You will notice that he carries the entire narrative of the commercial. Be very sure of your cat and your cat trainers when wishing to produce a stand-out piece of video like this. Because they are different to dogs the training and supervising of cats for film requires deep knowledge and experience gained over decades of exemplary work. 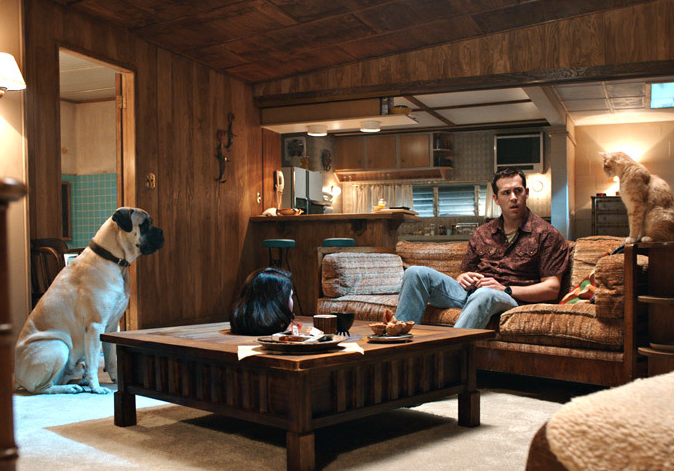 A-Z Animals provided “Bosco” the bull mastiff and “Mr Whiskers” the ginger tom cat for Marjane Satrapi’s debut feature film The Voices. The Voices is an 2014 American-German comedy crime horror thriller film directed by Marjane Satrapi and written by Michael R. Perry. The film stars Ryan Reynolds, Anna Kendrick, Gemma Arterton, Jacki Weaver and Gulliver McGrath. Filming took place in Berlin, Germany. It was a great privilege and pleasure to work on The Voices, directed by Marjane Satrapi and staring Ryan Reynolds. This dark comedy has just premiered at Sundance and has wowed the critics, big time. Reynolds plays a likeable mass murderer whose closest confidants are his dog Bosco and his cat Mr Whiskers – they talk to him. This is a unique film masterminded by an exceptional director. conception through to end of production.